Over time I've stumbled upon many a post stating the difficulties of switching off come the evenings when self-employed. Although this is not my current situation (hopefully one day!) having a blog of my own, I know just too well how easy it is to type away into the night to then realise it's ridiculous o'clock. 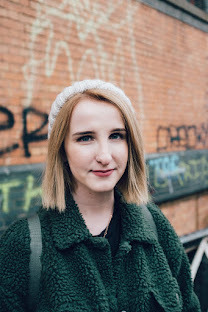 The past twelve months for myself have been a break from University to take on a placement year, working alongside various companies, focusing on my blog and working in retail. The Autumn season is now however upon us, meaning my placement year is officially complete, and I'm back at Uni with my final year ahead of me. Whilst the major stress is yet to come, it's certainly building up, so I decided to whip up a wee post with a few tips on how to switch off in the evenings (whether you're a student, blogger, or human with a stressful daily routine). Whilst I'm hoping writing this will not only whip me into shape, but also help those who also struggle with winding down. First things first, technology. Whether that be your iPhone or your laptop, put it down. It's so darn easy to watch one too many YouTube videos and find yourself struggling to nod off. This is my biggest issue when it comes to zzzz time (or lack of). I find switching off my gadgets, or at least putting them to one side around an hour or so before bed helps me to settle easier. Swapping blogs and twitter for a little lighthearted reading or tv is a much better way to spend your wind down time, as apposed to sitting up close to a screen. Doing so leaves me feeling a lot more relaxed for when it comes to lights out. Perhaps my favourite way to chill out on an autumn evening is to have a humongous bubble bath. Throw in a bath bomb or two courtesy of Lush, and that's my perfect scenario right there. Unfortunately being back at University leaves that particular set-up a very rare occurrence, however as soon as I'm home for Christmas I will be taking full advantage of this, I can assure you. Finally a few smaller, though equally significant steps I like to take if I'm in the need of a serious slumber. Pukka Night time tea is up there with the best drinks around. Containing oat flower, lavender, and limeflower, it's the perfect infusion to help you nod off. When it comes to that time of night, I also like to whip out a little magic combo from This Works. The Deep Sleep Pillow Talk and Stress Less, together work a total treat at helping my mind settle. You can purchase them both seperately and together, alongside a range of other delightfully soothing creations and they are well worth the money. Although this has been a ridiculously lengthy post, a good night's sleep is incredibly important (I simply don't function the next day without it) and I find I have a longer, more rested slumber when I combine the above steps into my routine. If you're a fellow struggler, I would definitely recommend trying out even one of the methods if you fancy catching some more z's.